Danetsoft provide Drupal Development Service. We are one of the Drupal agency whose contributions has been recognized by the Drupal community. We provide Drupal Theming Service with a very competitive price but not sacrificing the quality of the themes we created for you. Need a high performance, affordable, and reliable Drupal hosting? We provides managed Drupal Hosting and unmanaged Drupal Hosting. Danetsoft is a global web agency with our headquarters in Indonesia, we specializing in site development, theme development, design, SEO, and consulting service. Our clients are spread from Asia to USA, and Europe to Canada, such as System & Method, and Bombardier Aerospace. HTMLy is an open source databaseless blogging platform or Flat-file blog prioritizes simplicity and speed written in PHP. 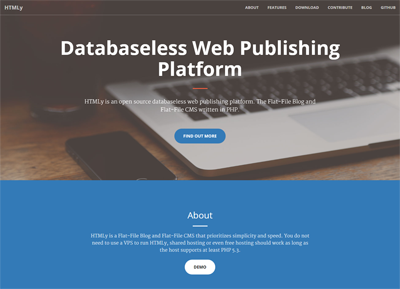 HTMLy can be referred to as a Flat-File CMS since it will also manage your content. Want to try our work? Visit our website at HTMLy. 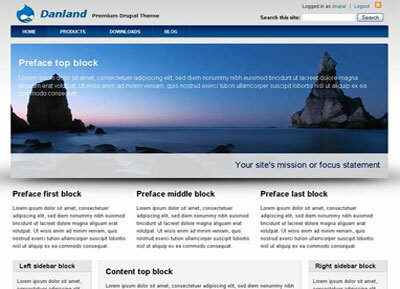 Danland is clean, simple, elegant, and beautiful theme for Drupal 6.x, Drupal 7.x and Drupal 8.x. This theme includes an image slideshow or photo slideshow feature on standard installation. Want these free Drupal theme? You can download it at Danland project page. 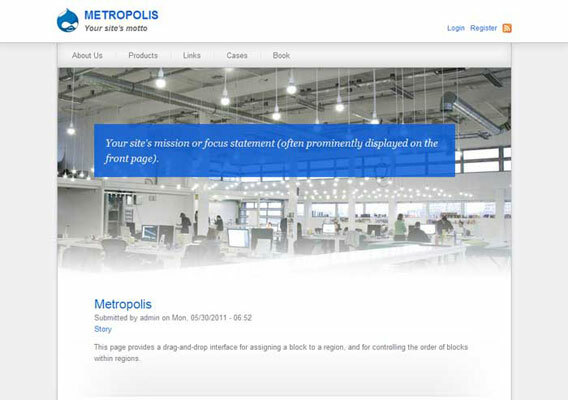 Metropolis is a Drupal theme that gave priority to sense and simplicity. Its suitable for all kinds of websites; from personal site, e-commerce site, to corporate site. Want these free Drupal theme? You can download it at Metropolis project page. 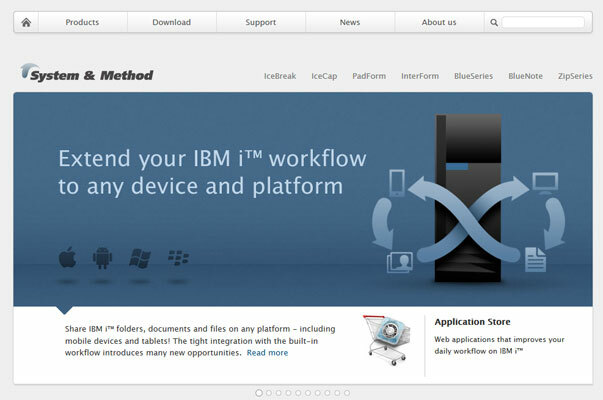 System & Method is one of our clients are involved in the field of workflow management solutions. System & Method entrust us to making new theme for their website to replace current website, they also entrust us as a consultant for their Drupal development process. Want to see our work? Visit their website at System & Method. 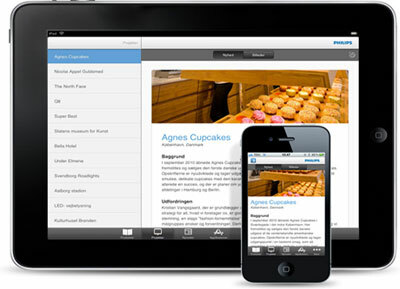 PadForm® is ‘swipe and touch’ solution for iPad - but also the various 'Android - pads' on the market. 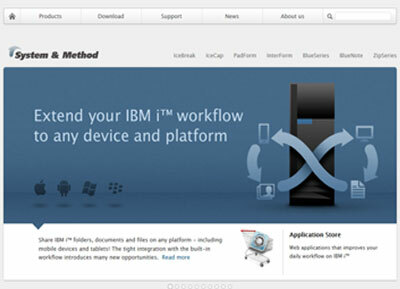 The IBM i™ applications will operate smoothly on an iPad™ using ‘swipe and touch’ technology. We developed this website using Drupal 7. This website is a multi-language site. Want to see our work? Visit their website at PadForm. 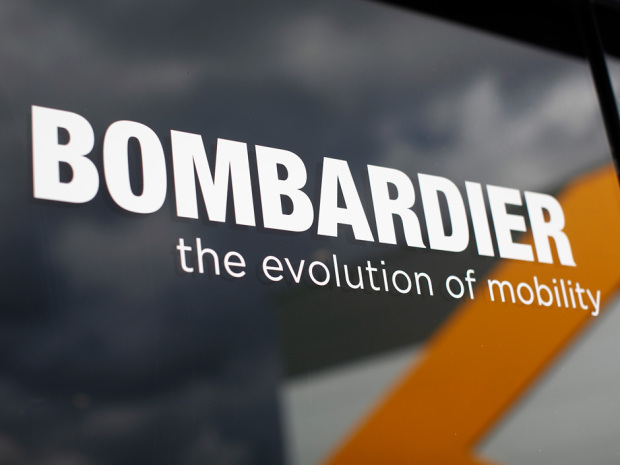 Bombardier is one of our clients who are a global transportation company. Bombardier is the world’s third largest civil aircraft manufacturer, and also has an installed base of over 100,000 rail vehicles worldwide. We are a trusted vendor to create a theme for their event sites, and the design already provided by their designers, so we just follow their branding guidelines. Visit their website at Bombardier Inc..